The candidates who have applied for various post in Residential Educational Institutions Societies are hereby informed that in compliance with the interim orders of the Hon'ble High Court in W.P.M.P.No. 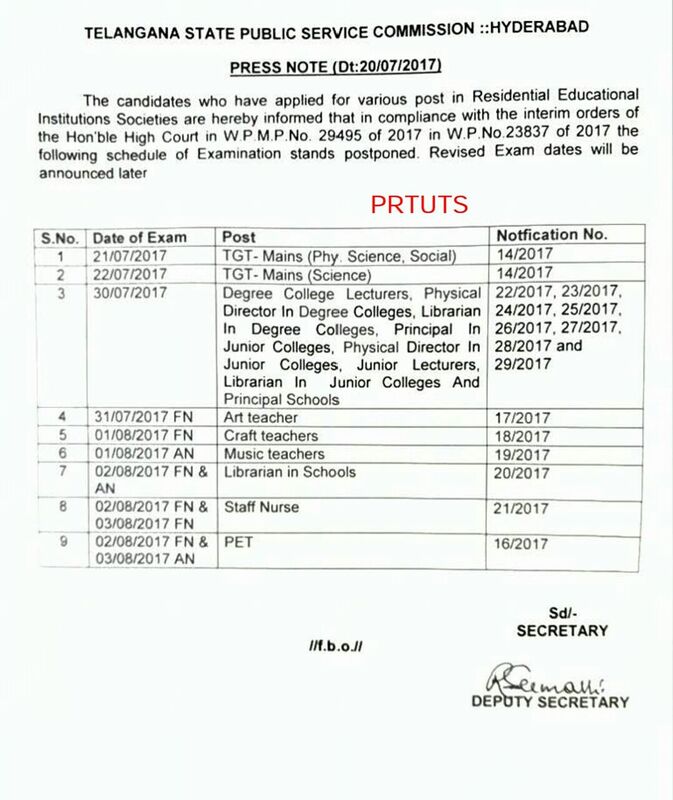 29495 of 2017 in W.P.No.23837 of 2017 the following schedule of Examination stands postponed. Revised Exam dates will be announced later. For latest updates keep visiting this site.